The Orange Fund was founded in 2002 as the National Wedding Gift from the people of the Netherlands to the Prince of Orange and Princess Máxima on the occasion of their marriage. As its patrons, King Willem-Alexander and Queen Máxima are closely involved with the Fund. Queen Máxima presents the Appeltjes van Oranje awards at Noordeinde Palace. In the same year the Orange Fund merged with the Juliana Welfare Fund. An independent charity organisation in the field of social welfare, the Orange Fund supports thousands of initiatives in the Netherlands and the Caribbean part of the Kingdom that aim to promote social engagement. The Orange Fund supports projects relating to social cohesion and participation, such as small-scale community initiatives, mentoring projects for young people and meeting places. In addition to supporting projects, the Fund encourages organisations to acquire knowledge and skills and to exchange experiences. Not only do King Willem-Alexander and Queen Máxima regularly visit projects that receive support from the Fund, they are also present on festive occasions such as the launch or closure of programmes. 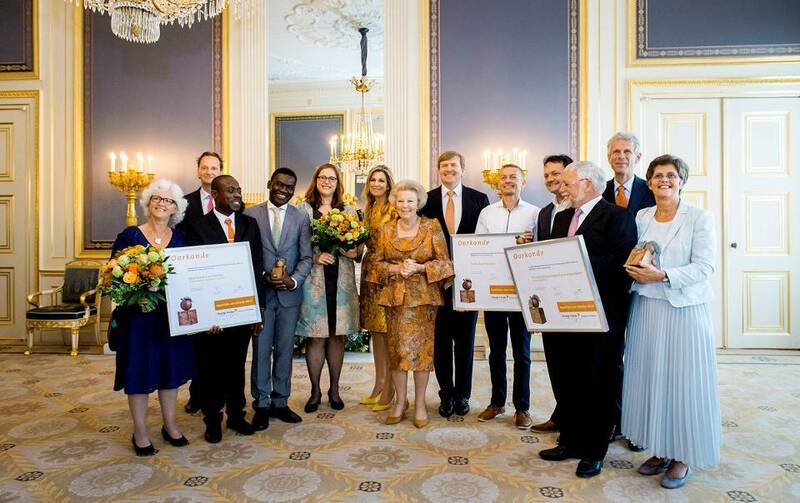 Every year Queen Máxima presents the Appeltjes van Oranje awards at Noordeinde Palace to three outstanding or innovative projects that have succeeded in bringing different groups of people together. King Willem-Alexander is also present at the award ceremony. The award is a bronze sculpture of an apple, designed by Princess Beatrix.